The Ball and Claw table leg made its first appearance in ancient Rome, in the 15th century and then made a reappearance in the Queen Anne period of the 16th century. 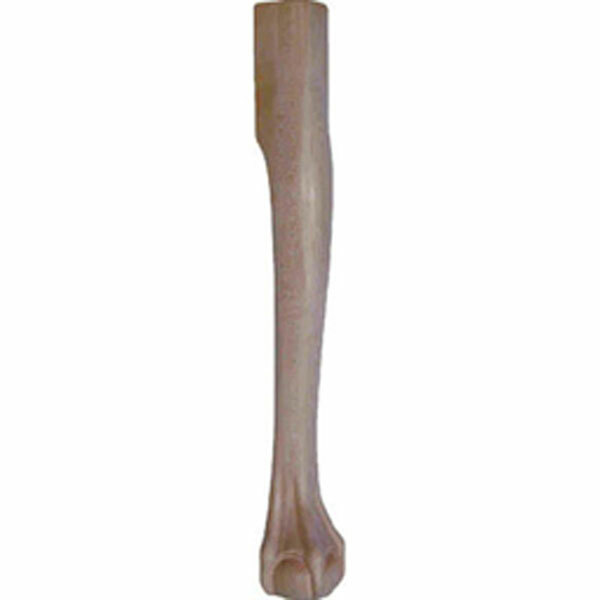 The Ball and Claw leg makes an attractive finish to the heavier type of cabriole leg�a curved leg�that evolved after the disuse of the stretcher.The Ball and Claw leg design first came from the Chinese bronzes, which depicts a popularization of Asian design. It has a high pronounced knee adjoining at square at the top and bottom and was usually completed with a claw and ball foot. The design was discontinued in China and a more elaborate design took its place.The most common timbers used back then were boxwood, rosewood, mahogany, walnut, tulipwood, sycamore and ebony, tree that were also popular at that time. Towards the end of the 16th century, Gilding and lacquering (a glossy resinous material, such as the exudation of the lacquer tree) was used and designs were more refined, with most of the shape work removed.At Architectural Depot, we have the popular ancient designs of those times. The Ball and Claw leg comes in a variety of sizes, to meet your needs, and is made out of hard maple, ready to take home and stain.